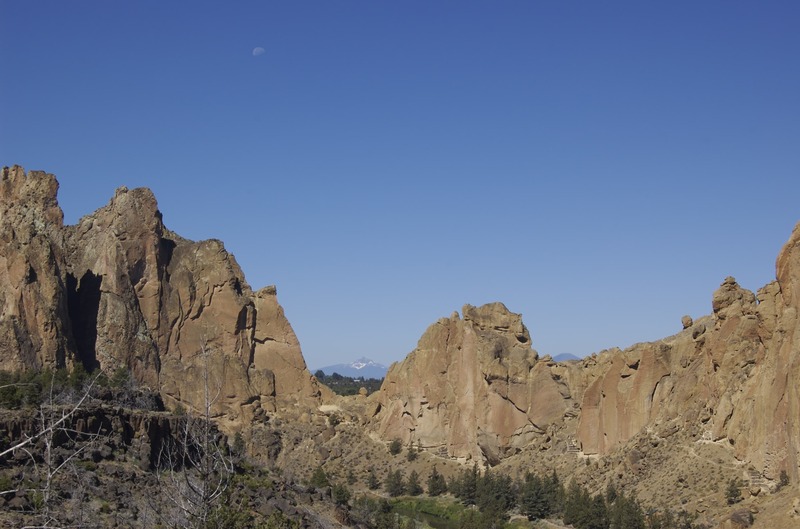 We’ve visited Ampersand Mountain, with its eponymous creek and hotel, and we’ve heard tell of mythical San Seriffe Island; now, welcome to scenic Asterisk Pass in Oregon’s Smith Rock State Park! This excellent image was taken by Travis Kochel of Trail Type. Many thanks to him for permission to republish it. Unfortunately, there doesn’t seem to be much information out there on why Asterisk Pass was named as such. 1859 magazine suggest that the pass was given its name in the 1950s by a pair of brothers, Jim and Jerry Ramsey, and their friend Jack Watts,1 but why they chose that name isn’t recorded. Looking at pictures of the pass (such as the one below, taken by Kelle Cruz), however, I can’t help but wonder if the precariously balanced rock in the centre of the pass might just about be thought of as an asterisk* poking its starry head up above the letters surrounding it in a sentence. If you know more, please let us know in the comments below! 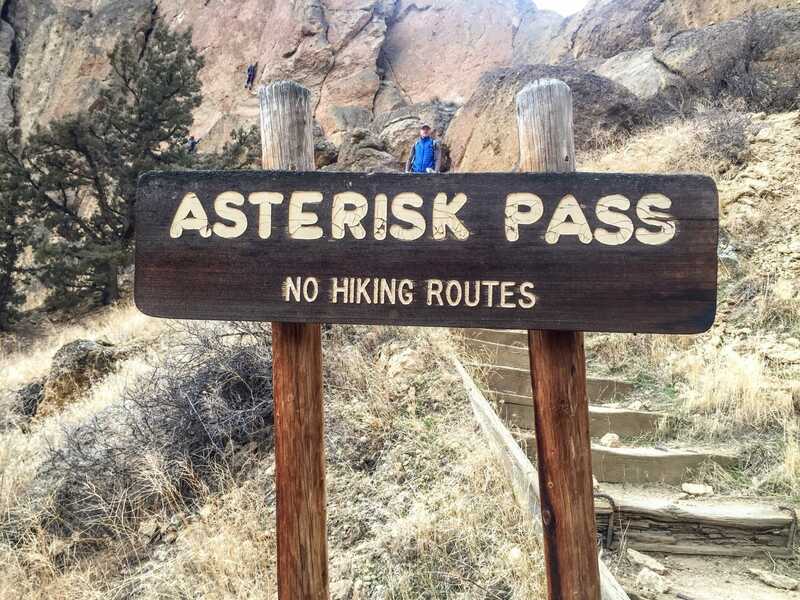 Whatever the story behind Asterisk Pass, if you should ever visit then take heed of the sign at the trailhead: this is a route for climbers, not for walkers. Remember, you only have one *. 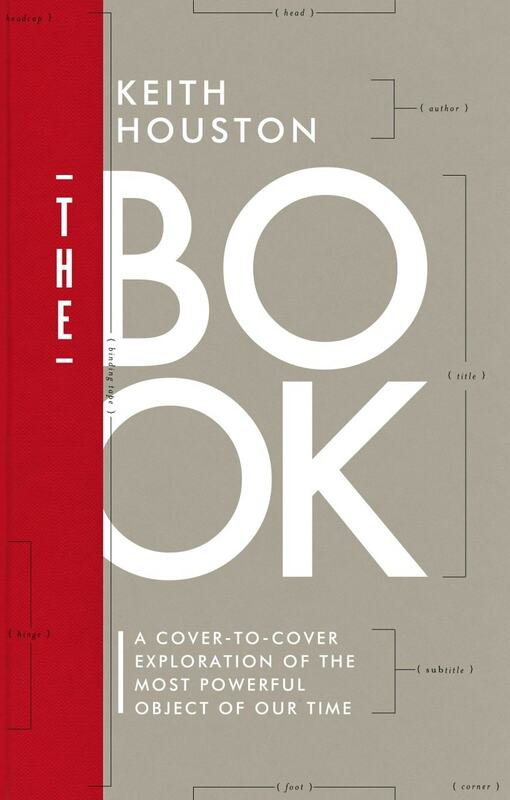 The Economist presents an entertaining read on the history of typesetting competitions. The canning, processing, preserving, freezing, drying, marketing, storing, packing for shipment or distribution of […] produce. The plaintiffs, a trio of truck drivers suing for more overtime pay, argued that the final clause should be interpreted as referring to “packing for shipment” and to “packing for distribution of […] produce” — that is, that “distribution of […] produce”, without the “packing” part, is not referred to as a discrete activity. Their employer, a dairy in Maine, asserted instead that the sentence referred to “packing for shipment” and, separately, to “distribution of […] produce” with no attendant packing. The absence of a clarifying comma makes all the difference. I won’t spoil the ending — have a read of the article itself to find out which interpretation won the day. Also in the NYT is a illuminating article about Kazakhstan’s attempts to move from Cyrillic to the Latin alphabet. It has everything: an authoritarian leader; an ex-Soviet state striving to recover its own identity; and a reactionary church resisting the change. Oh, and apostrophes. Lots of apostrophes. Lastly, a tweet by @ampersandconf (the Twitter account of Brighton’s annual Ampersand typography Conference) took me to the endlessly fascinating Archive of Styles maintained by the Alberto Tallone Editore press of Torino, Italy. It’s a photographic archive of everything from fonts to typesetting tools, and it is quite the rabbit-hole for typophiles and punctuation enthusiasts. 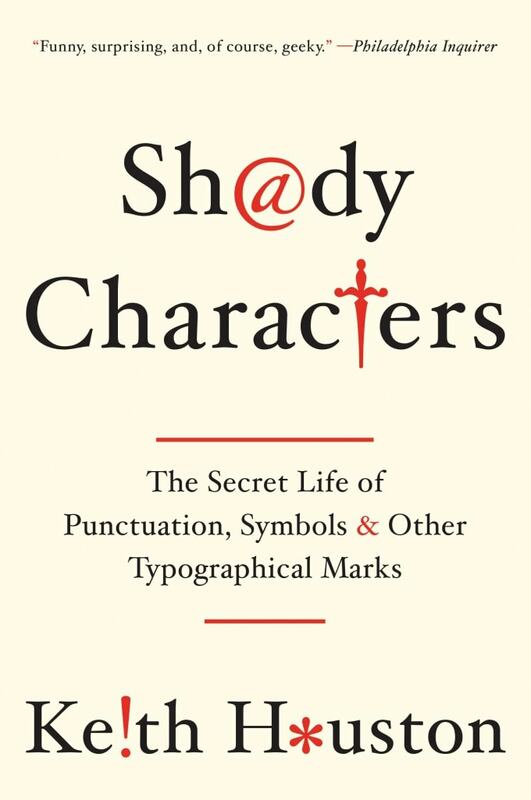 Of special note for readers of Shady Characters are the archive’s collections of manicules, asterisks and crosses, and related miscellany. Hi Beth — good point! Thanks for catching that.